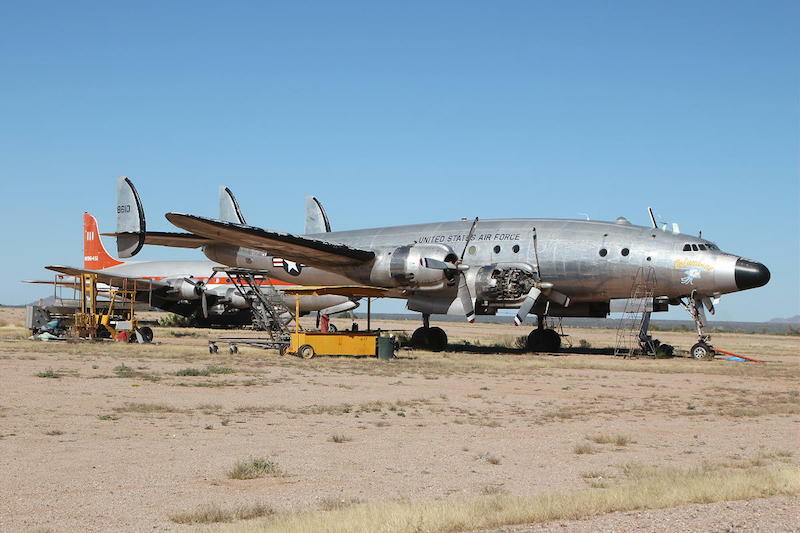 UPDATE: The Columbine II flies again after a full restoration. To see her in action click here. 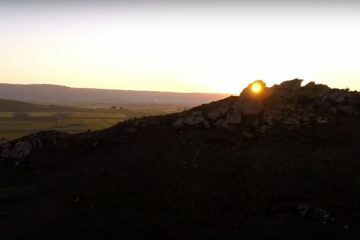 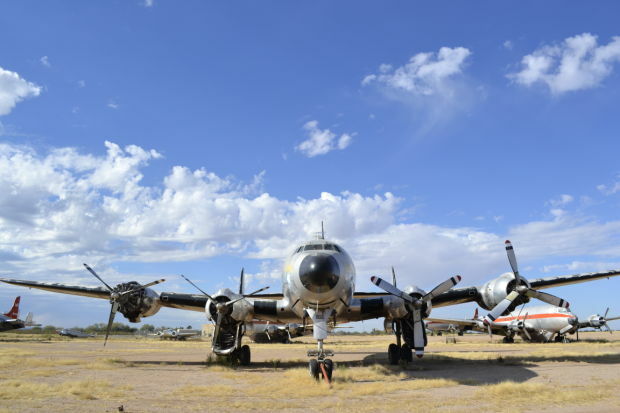 Sitting in a field outside the Marana Regional Airport in Arizona sits the Lockheed Constellation once known as Columbine II just rotting away. 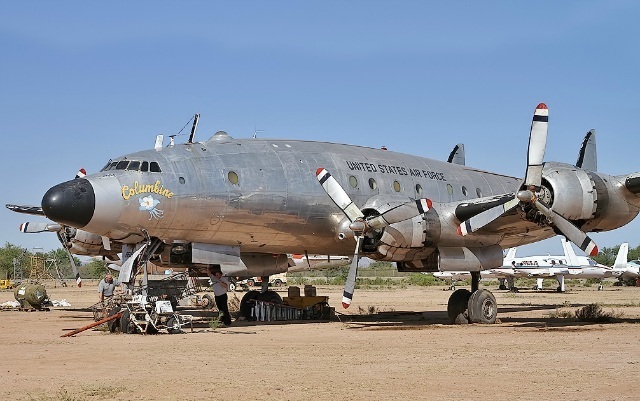 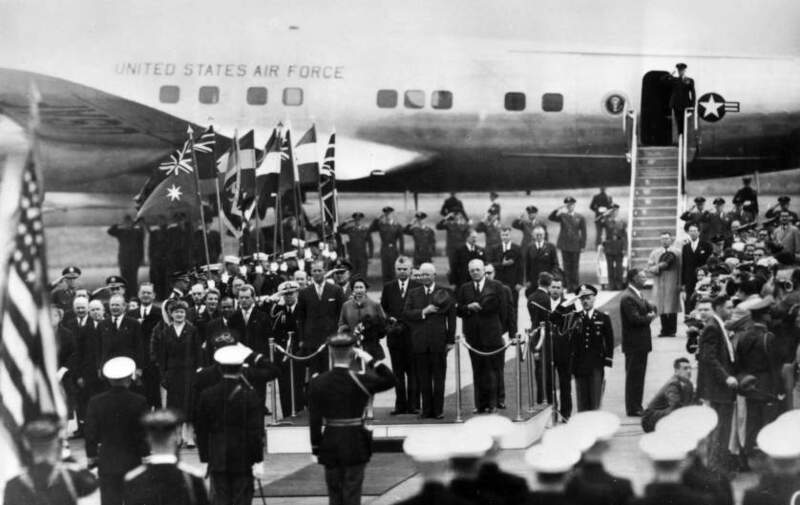 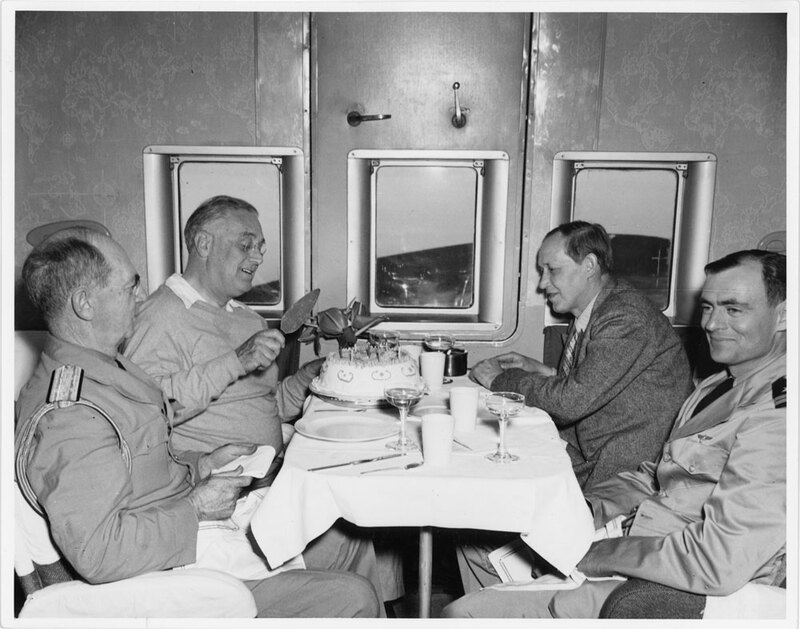 The Columbine II was used to transport the president for many years but didn’t get the official call sign of “Air Force One” until 1953 when president Dwight D Eisenhower was flying and entered the same air space as a commercial airliner with the same name. 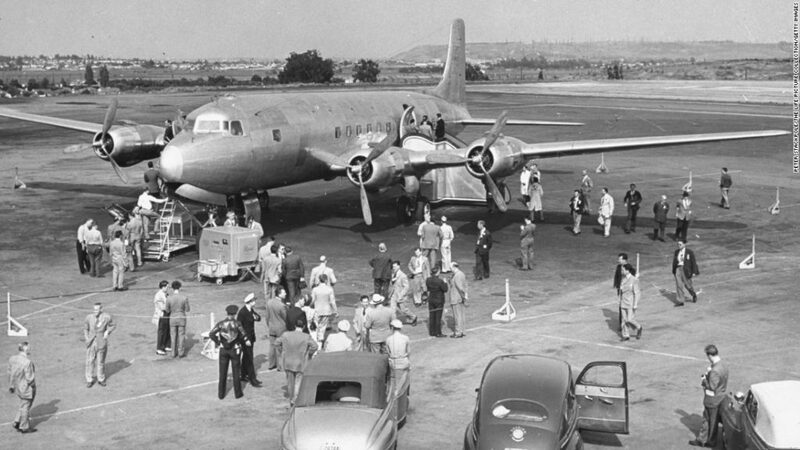 The Constellation is a four engine propeller driven plane built in Burbank California and Dwight D Eisenhower used it on his flights as president of the United States of America in 1953. 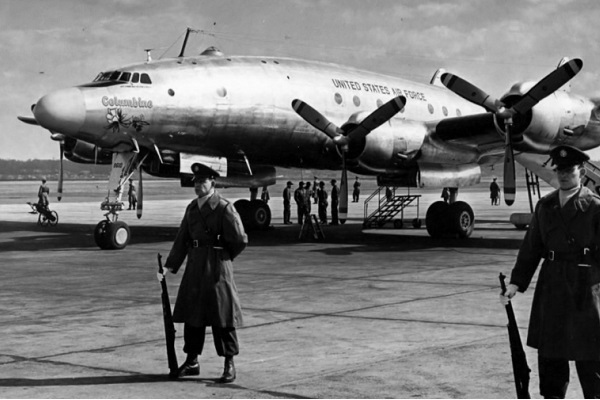 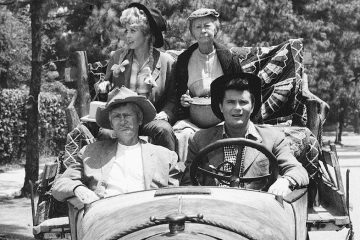 But only had a short 1 year life as the first Air Force One until it was replaced a year later in 1954.